It has 64 squares arranged into eight rows and eight columns format and in two alternating colors (light and dark). 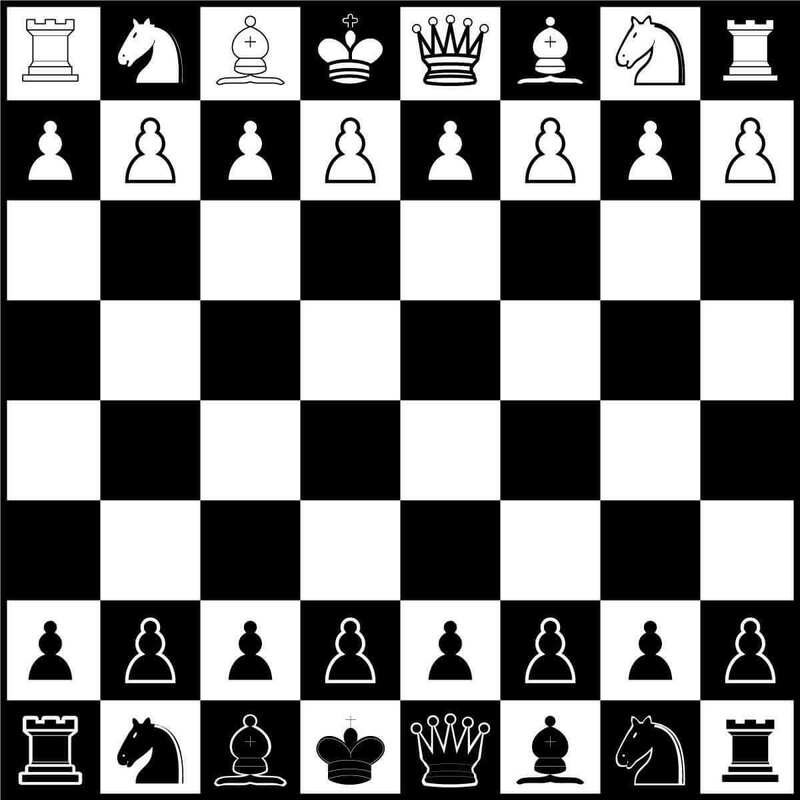 Usually, wooden chess boards are used at the professional level, and vinyl, plastic, and cardboard are common at informal or low level. A clock is used where players move in turns. 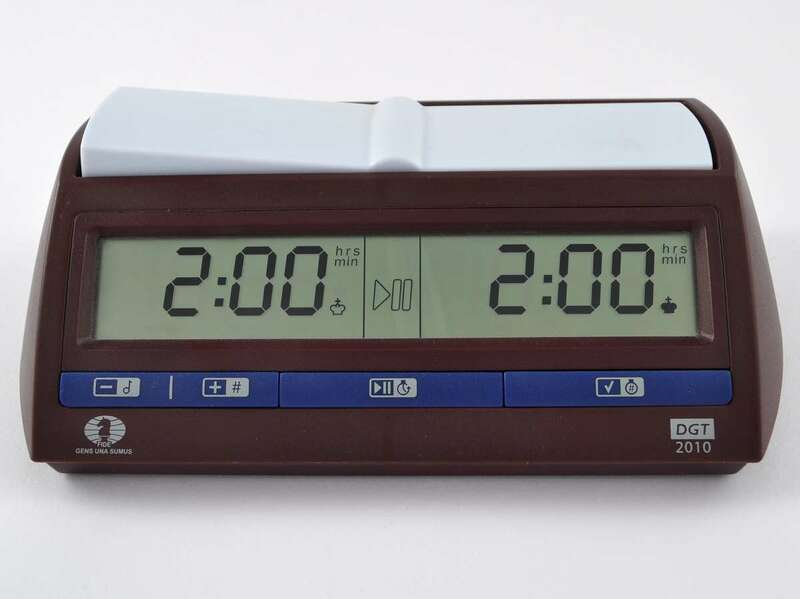 It consists of two clocks with buttons which are used to stop one clock and start the other. It is used to keep track of the time that each player takes during his/her turn.